Energy consumption or the power sector in the world is responsible for the largest share in the annual emission of greenhouse gases, according to a report on annual greenhouse gas emissions by sector. Generating electricity by the use of non-renewable natural resources such as coal and petroleum emits greenhouse gases like Carbon Dioxide directly into the atmosphere. Therefore, by using lights in our homes that require more electricity increases our own carbon footprint while we are not even aware of it. For sensitive people, who care about the environment around them and its deteriorating state and have in the past taken actions to do their bits, it is also important to choose the lights we use carefully. Nowadays, LED Spotlight is a good option to choose. Even the light manufacturers have incorporated many types of LED lights in their gamut of products are one of the main products. LED spotlight gives a warm, focused and high intensity beam of white light. You will get at a dirt cheap rate as well as a little pricy as well. 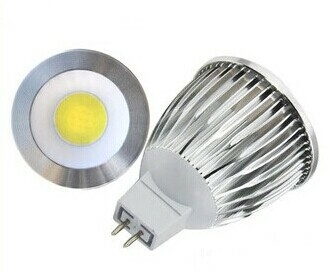 The difference between those is that the reputed LED Spot Light Manufacturers out there in the market sell the LEDs, the best quality of chips in the LEDs that give color consistency and durability where as the one with the road side vendor or small shack will not even be buying genuine LED chips. There are plenty of verified and well known light manufacturing companies like Phillips, Syska etc. which sell at a good price and quality. You can also look for any kind of lights in online stores like Alibaba etc. which delivers and deals with the best companies all around the world.